You have no idea how damaged I am and honestly, I don’t even understand why you are still here. My heroes and heroines are often unlikely people who are dragged into situations without meaning to become involved, or people with a past that has never quite left them. They are often isolated, introspective people, often confrontational or anarchic in some way, often damaged or secretly unhappy or incomplete. I damaged all the complicated bits of the brain to do with processing and emotional control. I was prey to every single emotion that swept over me and I couldn’t deal with it. I had to re-learn things from scratch. We’re all damaged in our own way. Nobody’s perfect. 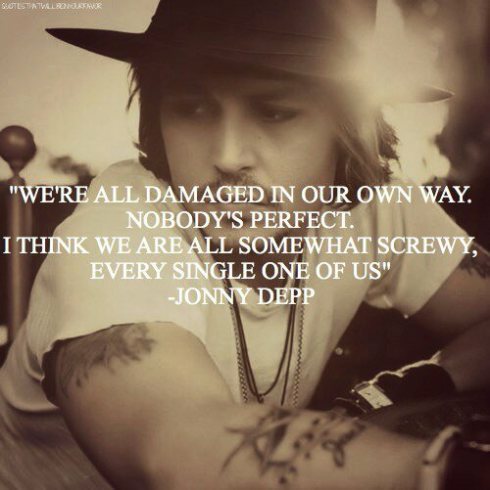 I think we are all somewhat screwy, every single one of us. I’m drawn to people who share that sense of loss. All actors are trying to repair damaged relationships. I think that might be why I’ve been drawn to other actors. The artist’s job, I think, is to be a conduit for mystery. To intuit it, and recognize that the story-germ has some inherent mystery in it, and sort of midwife that mystery into the story in such a way that it isn’t damaged in the process, and may even get heightened or refined. 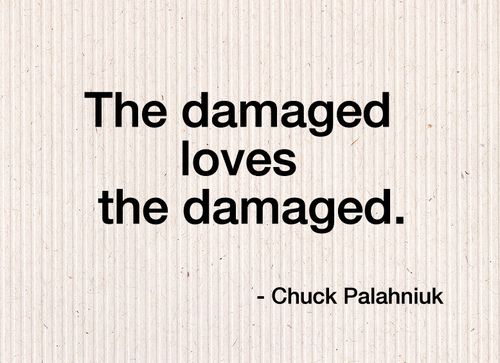 The damaged loves the damaged. When families are strong and stable, so are children – showing higher levels of wellbeing and more positive outcomes. But when things go wrong – either through family breakdown or a damaged parental relationship – the impact on a child’s later life can be devastating. So I set out to study the oxidation system in the potato, which, if damaged, causes the plant to turn brown. I did this in the hope of discovering, through these studies, the key to the understanding of adrenal function.